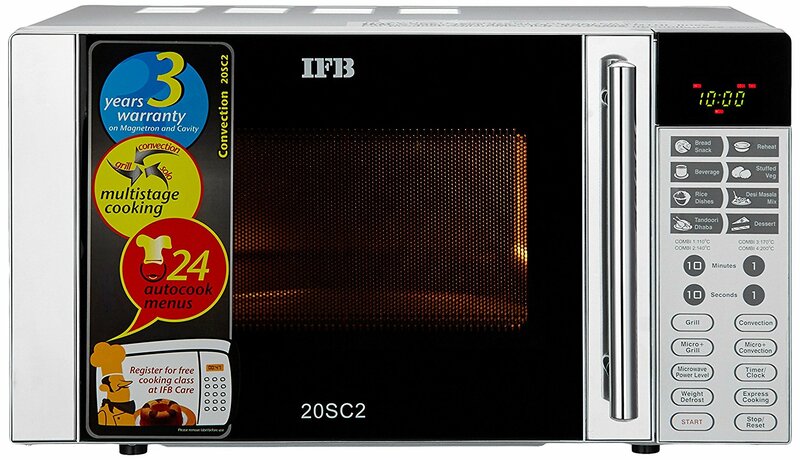 IFB 23 L Convection Microwave Oven (IFB 23SC3, Metallic Silver) is perfect unit to cook and bake your food evenly. 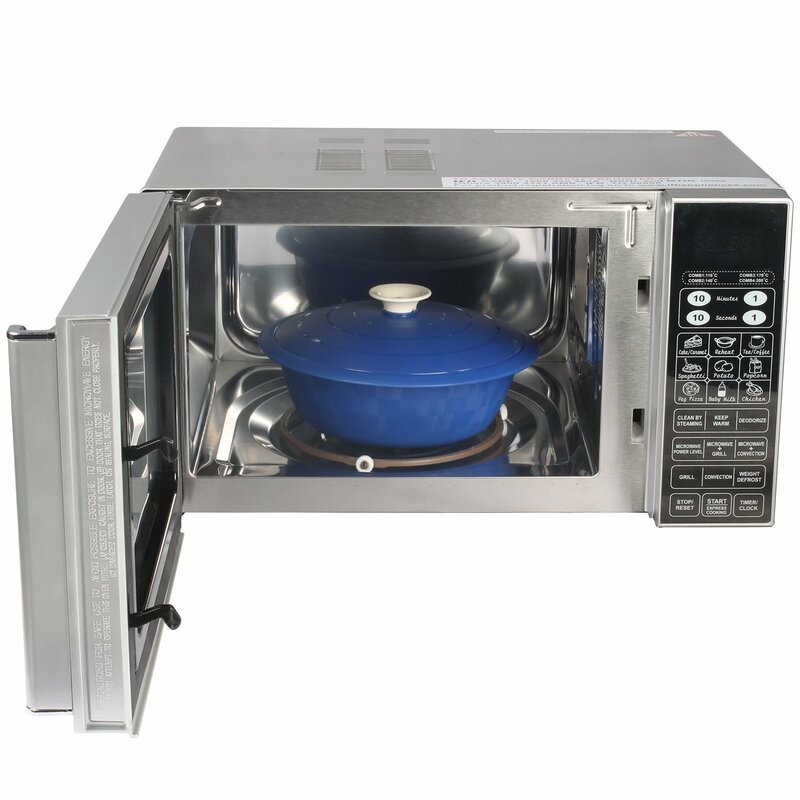 It has grill element and fan at the top that greatly work to distribute hot air evenly to ensure that food is cooked just right. 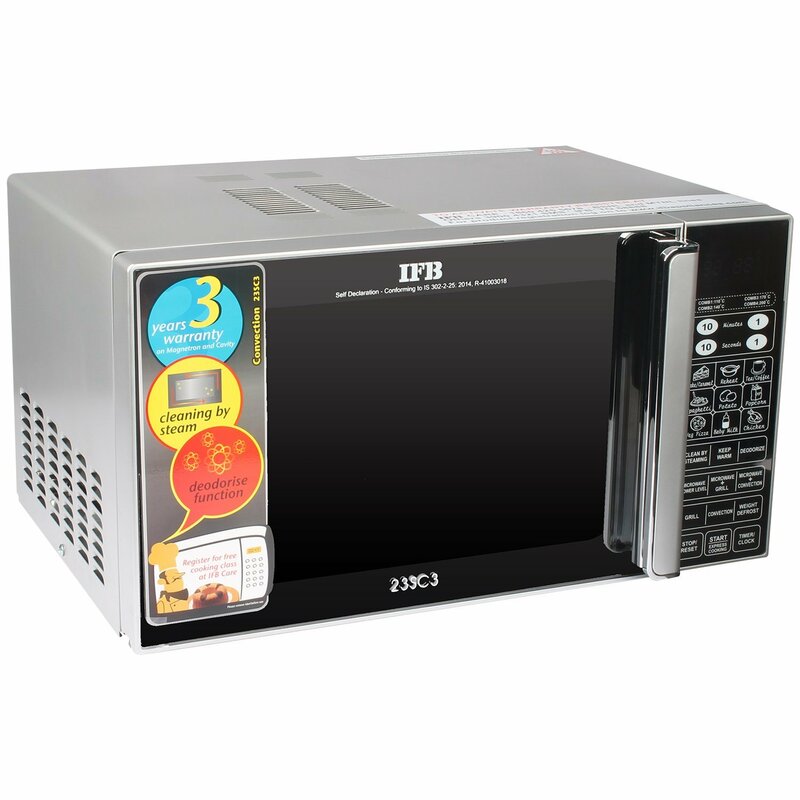 This 23 liters microwave oven with 900 watts of output power is ideal for cooking larger portion of meals. 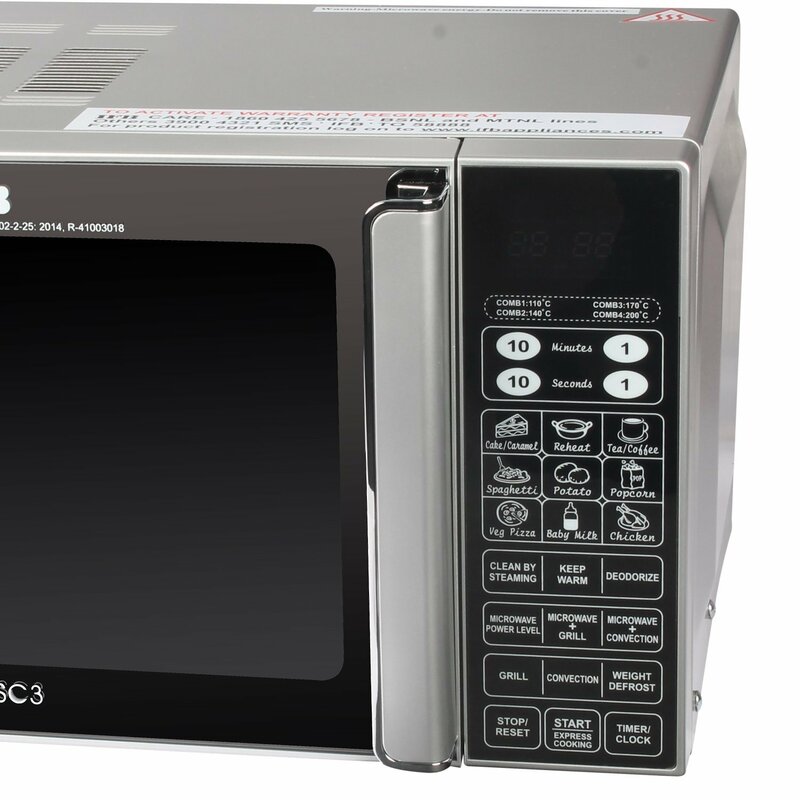 Further, it has 10 auto cook menus that are good for your basic food preparation. On the other hand, it has 10 different power levels which are perfect for cooking food at the right temperature according to your own preferences. 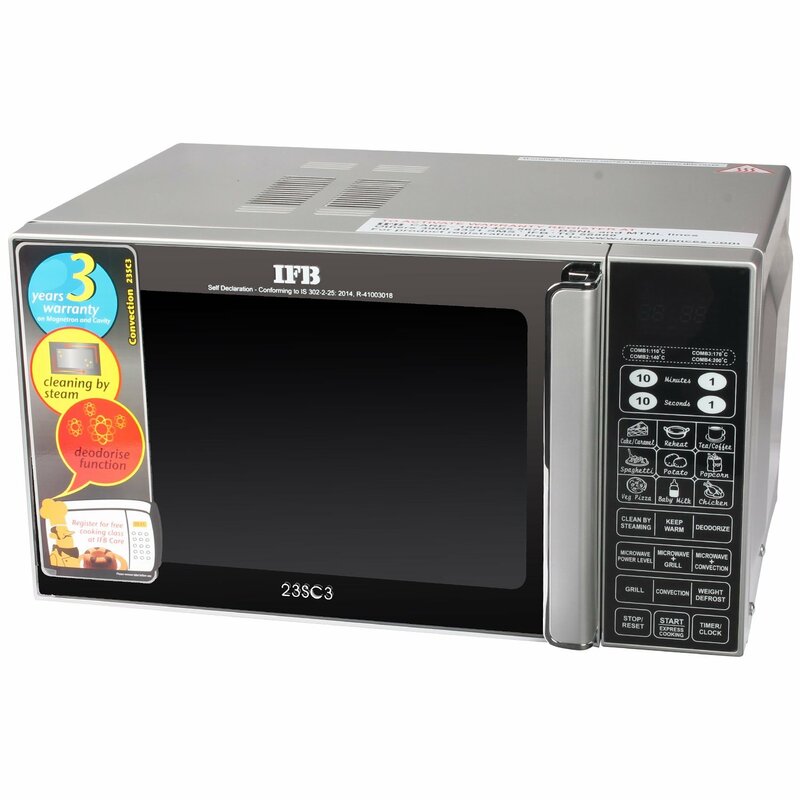 Also, IFB 23 L Convection Microwave Oven (IFB 23SC3, Metallic Silver) lets you choose from 4 convection + microwave and 2 grill + microwave combination modes. When one mode ends then next cooking mode automatically starts. 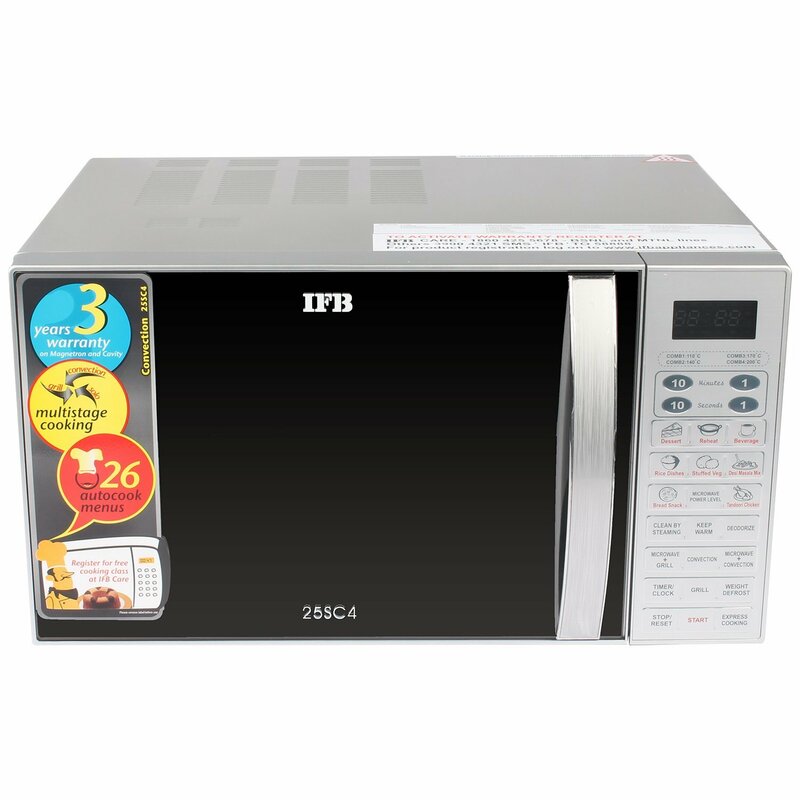 This IFB microwave comes with auto cook menus that let you explore new flavors and cuisines sitting right at home. Just enter the weight and leave the rest to the auto cook feature. 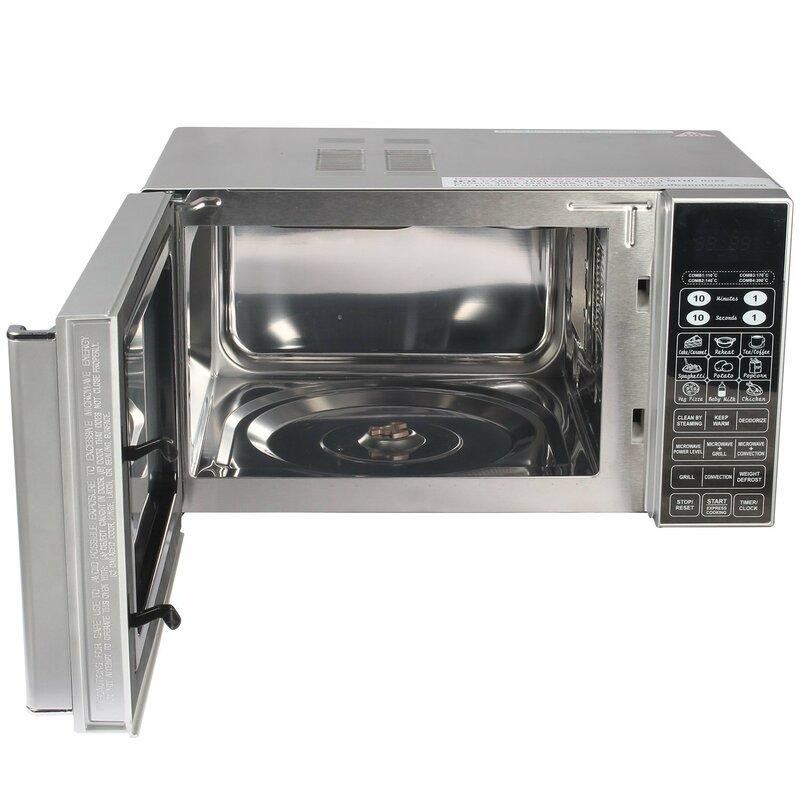 It has quick start function that provides instant microwave option, set the weight and press the quick start button to start cooking. Further, it has child safety lock letting you allow your children without worrying about delays due to an open door or cancelled program. On the other hand, the deodorize function is very helpful to maintain your microwave. This deodorize feature is very helpful to clean the grill elements and maintain a hygienic germ and odour-free microwave. Further, it has weight defrost feature, if you are unsure about the time needed to defrost then just enter the weight and your food will be prepared automatically. 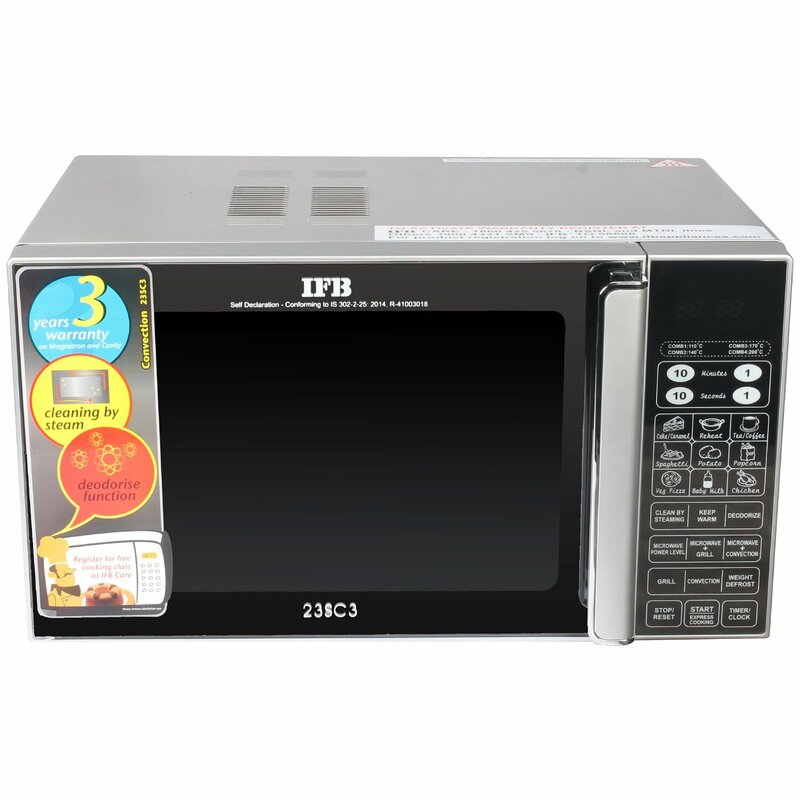 IFB IFB 23SC3 microwave oven has steam clean feature, this feature is very helpful clean the grease in the machine in just few minutes leaving a refreshing lemon fragrance in the process.